matters, significant corporate transactions and challenging disputes. 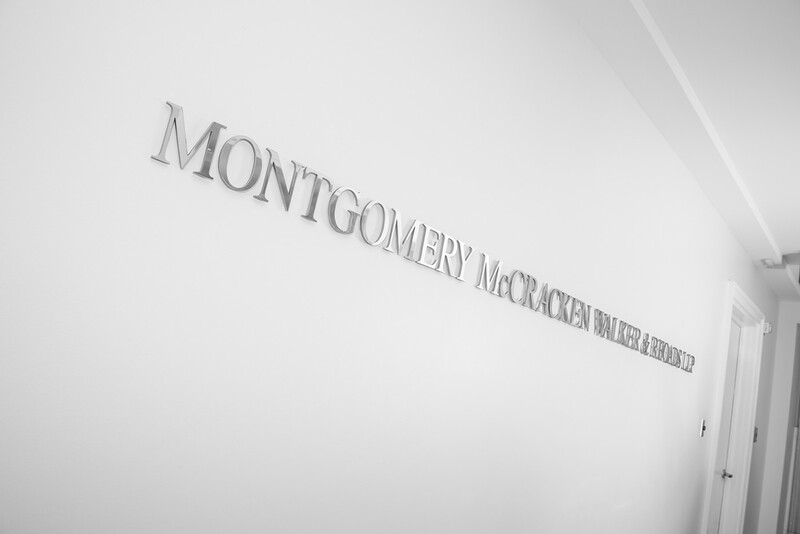 Montgomery McCracken was founded more than a century ago by respected Philadelphia lawyers, among them Owen J. Roberts, who achieved national prominence as a United States Supreme Court Justice. Their commitment to excellence in the practice of law is the foundation of our firm and our compass for the century that lies ahead. But it is not merely the richness of our history or our reputation for legal excellence that distinguishes us. We command the resources necessary to provide a multidisciplinary approach to meeting the legal challenges of some of the most sophisticated and demanding clients in the marketplace. At the same time, we have scaled our operations to maximize flexibility, to ensure partner responsiveness and accountability, to capitalize on emerging technology, and to focus our attention on that which matters most – our clients. Our clients are large, publicly traded corporations, middle-market companies, start-up enterprises, nonprofit organizations, and individuals who we advise on a wide range of legal issues across a broad spectrum of industries. While firmly rooted in the Philadelphia legal tradition, we counsel clients and litigate in courts located throughout the United States and abroad. And we do so with an increasingly diverse group of professionals bound by common values and an esprit de corps that flows naturally from the fact that we genuinely love what we do. In 2012, Montgomery McCracken celebrated 100 years of excellence and innovation. We are proud of our history and culture, and remain committed to providing our clients with superior legal counsel responsively, collaboratively and cost effectively.